She's so pretty now — and needs a home. A woman was out driving one night in Hampton Bays, New York, when she saw an animal sitting in the road, not moving. She got out of her car to see if she could help the strange animal - and then realized it was a cat. 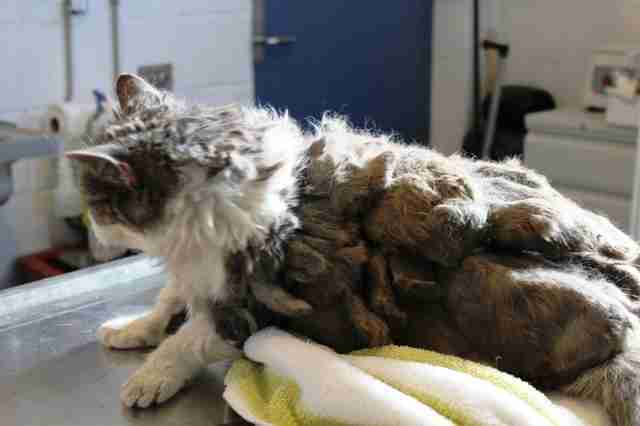 The cat, later named Scarlett, was so matted it was hard to even tell that she was in fact a cat. 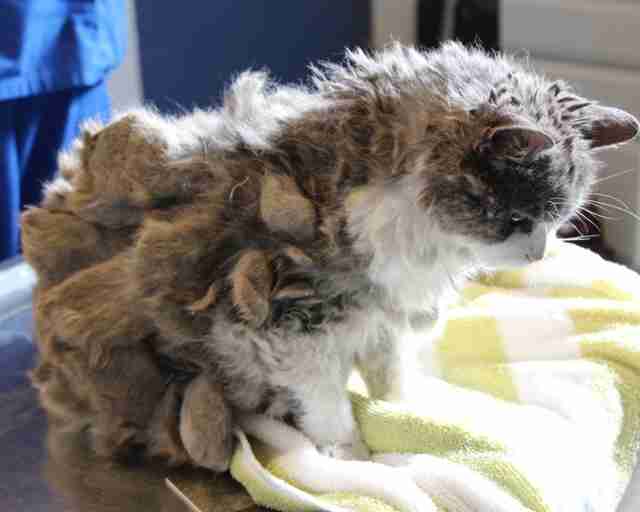 Huge clumps of fur hung from her body that almost looked like tiny animals clinging to her, and she was clearly in need of medical attention. 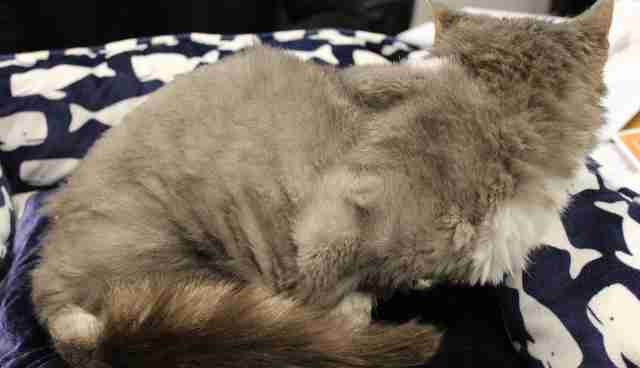 Scarlett was taken to Southampton Animal Shelter Foundation (SASF), where staffers were shocked by her condition. "She had pounds of added hair. 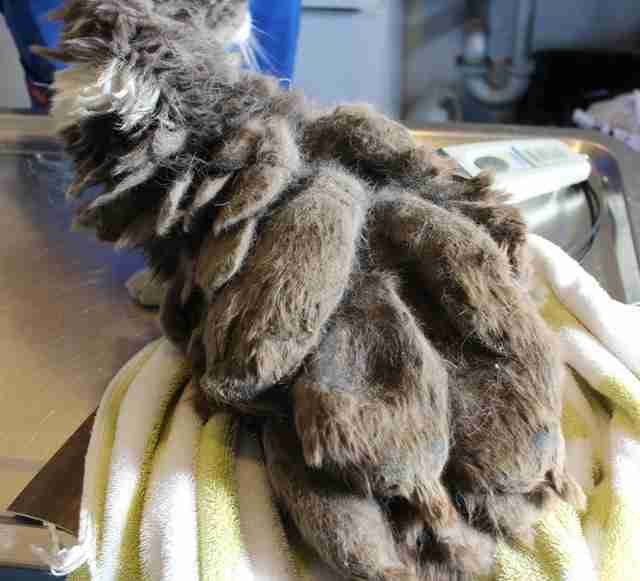 It was the worst matted cat I have ever seen in my seven years with the shelter," Linda Goldsmith, head of the Advo-Cat program at SASF, said in a press release sent to The Dodo. "The matts were so bad, she was unable to walk or hardly move." Scarlett was infested with fleas, ticks and ear mites, and was extremely dehydrated and starved. She had clearly not been properly cared for in a long, long time. 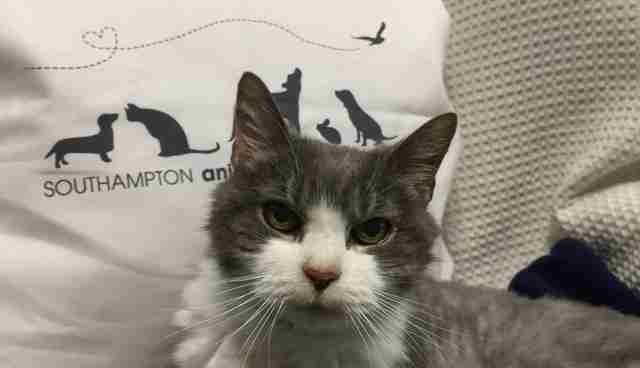 Scarlett is about 15 years old, and no one is sure how long she had been alone for. 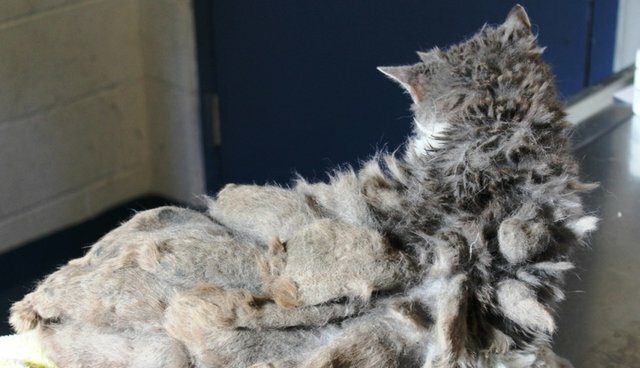 Staffers at the shelter shaved and groomed Scarlett, revealing a gorgeous cat underneath all that matted fur. "We are so happy we found Scarlett in time and thank you to the Good Samaritan who brought her to us," Kate McEntee, director of public relations and marketing at SASF, told The Dodo. "She is healing well and is ready for a loving family to adopt her." Scarlett has already been through so much, and is looking for a quiet home to live out the rest of her life in peace. If you're interested in adopting Scarlett, you check out her adoption page to get started.